I’ve grown up eating all hard fruits one way: a mortar and pestle mix of chili and salt. So, coming up with a way to use these peaches that required more than two steps was a bit of a pickle for me. Sweet? No. Savoury? It’s got to be. Remembering that we purchased jalapenos the previous week, I knew I had to have it in the mix. 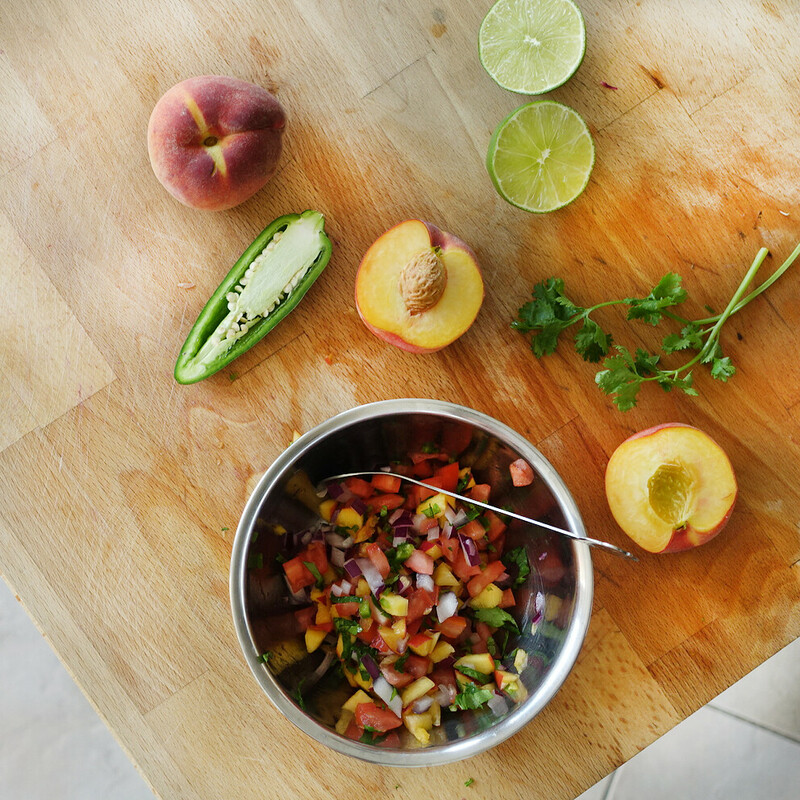 In discovering peaches for this edition, we have, Peach Salsa for our tacos and we made a bowl of Quick-Pickled Red Onions for a suitable top-off which tied into the fresh taco flavours wonderfully! 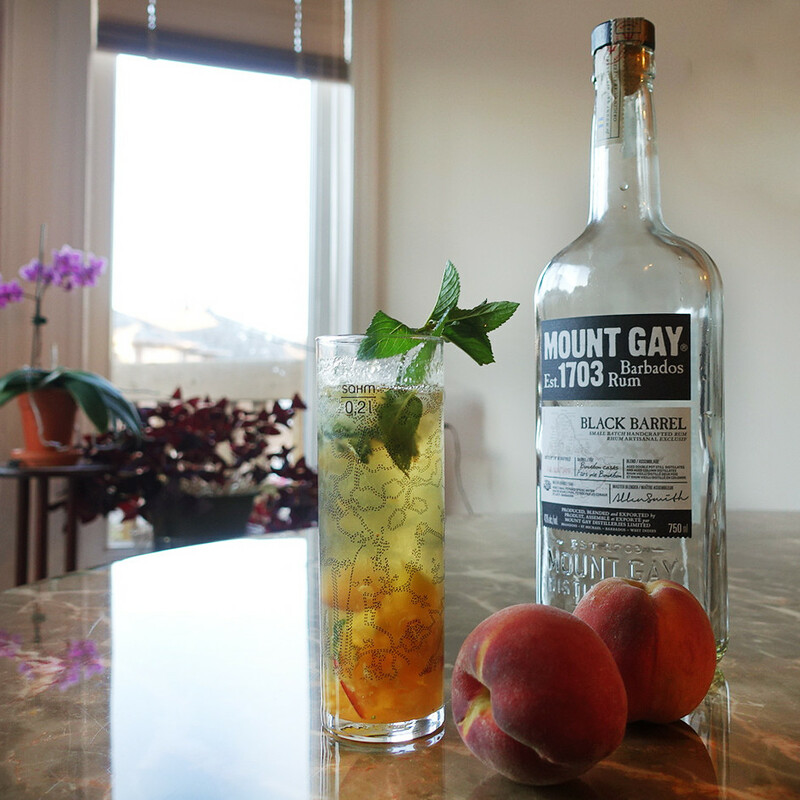 To finish, we had to make a Peach Mojito, keeping everything the same ol’ way with the added flavour of muddled peach. As for our regular ol’ taco sides, we had guacamole, sliced olives (I especially love the cocktail olives for this, the red bugger on the inside is a treat to me! ), pork mince, shredded cheese and the keg seasoned pork jowl. 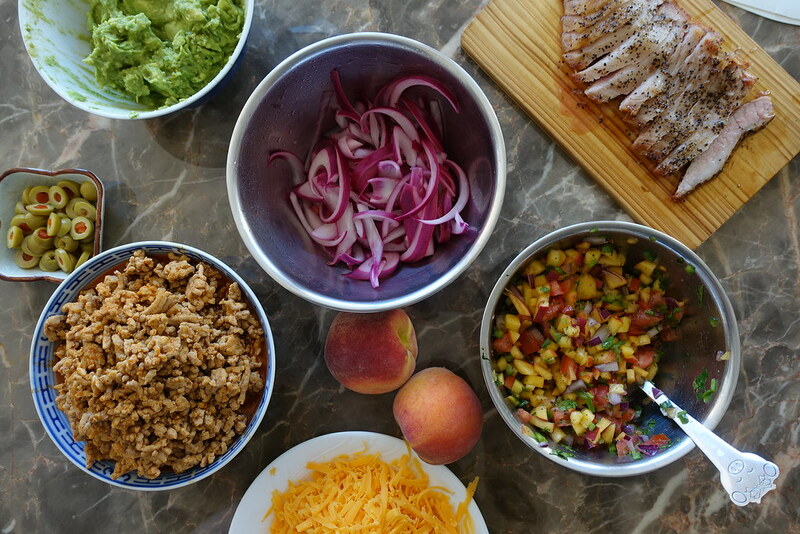 Now, look ahead for all three of the recipes that would be perfect in a taco and on a patio! 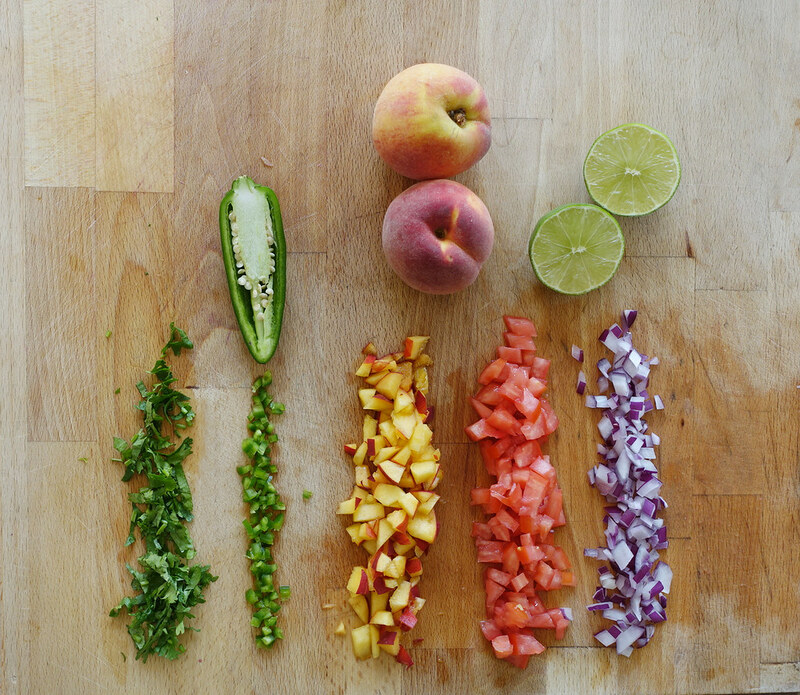 Steps: You’re aiming for the peaches and tomato to be the same size. The jalapeno should be in smaller cubes. And the red onions to be inbetween the size of both. 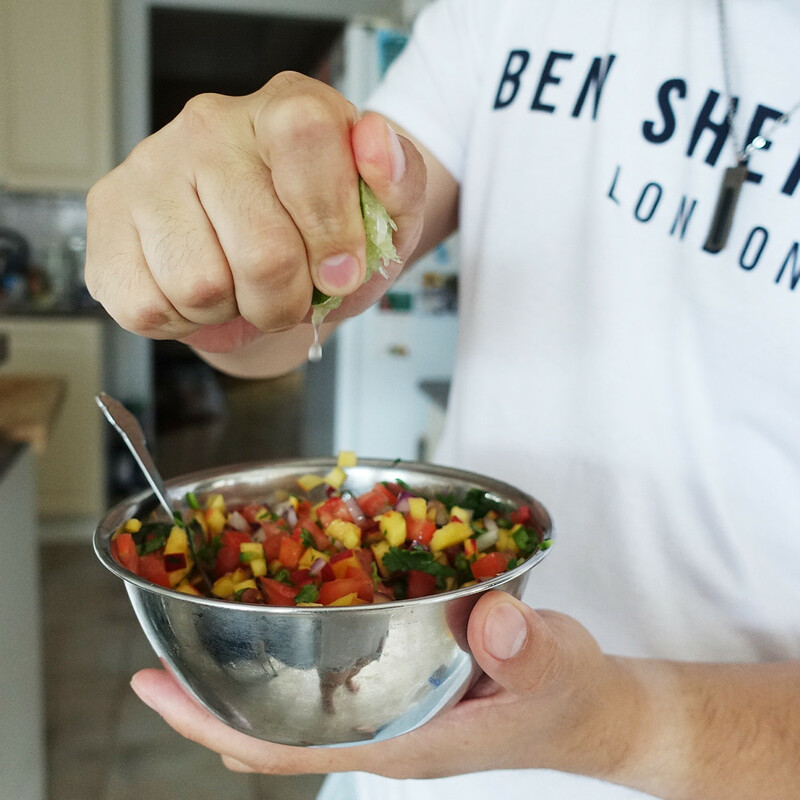 Keep mixing and tasting, add in salt and pepper. Chili flakes for heat! Lime to be squeezed in last. 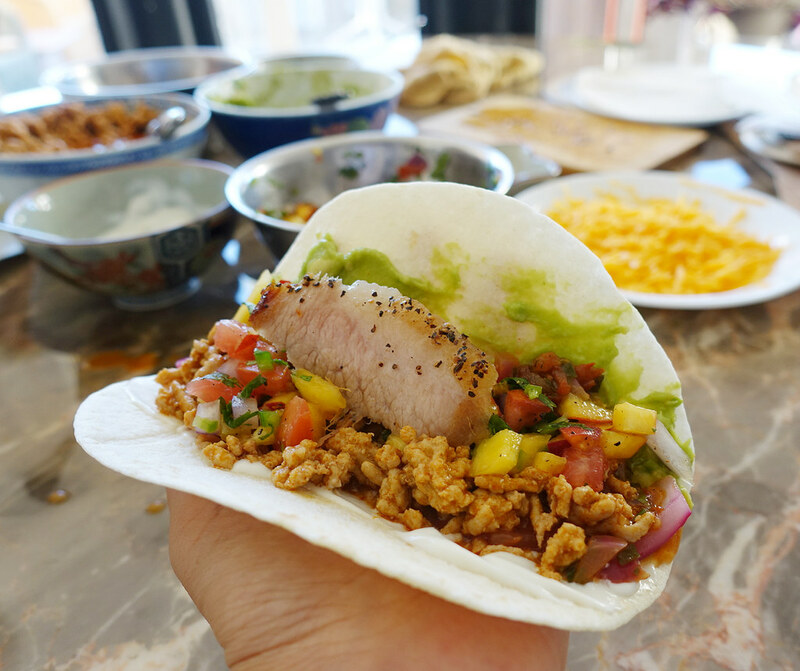 Let it chill in the fridge while you take on the other taco-stuffings. Steps: I like mine crunchy, so there’s no boiling for me. This is a very fast process. Slice red onion and mix it vigorously. I used apple cider vinegar with salt and sugar, keep tasting and crunching on the red onions until tangy. Leave in fridge to chill until ready to serve. Steps: Prepare as you usually would. Nothing special with this mix. Peach diced and muddle on the side. Mint muddled with rum (my pick is finishing off the Mount Gay) and brown sugar. Add in peach and ice. 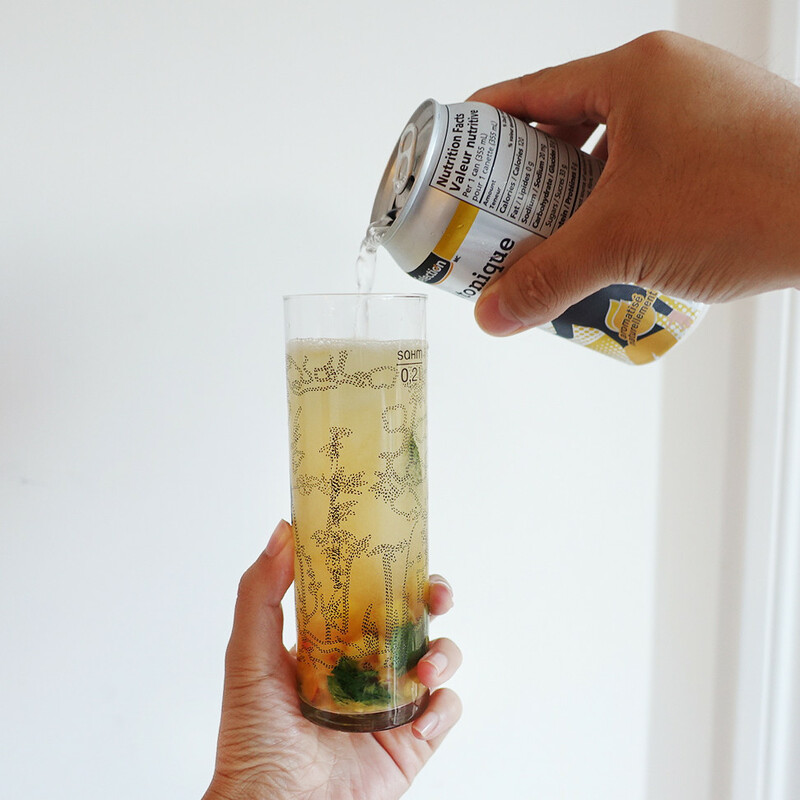 Top off with tonic water.